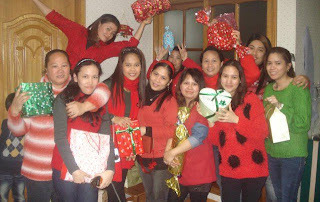 ANSAN CITY, South Korea – The most celebrated and immense season in the world has come , “Christmas Day” was beheld by foreigners likely Filipino migrant workers and immigrants despite of heavy snow in different cities and towns here in South Korea. Many people around the world celebrate “Christmas” in which they immensely believed the” Birth Day of Jesus Christ” who is not only the “Saviour” but also the one who can give “Hope” to their daily lives and “eternal life” to those who believed. Therefore, it’s likewise the time for family gatherings, reunions and gift givings as well. In spite of mixed non-christian and christian nation, South Korea declared December 25 a non-working holiday, in which some business establishments and Korean people here also commemorated Christmas day by playing Christmas music and displaying Christmas decors such as Christmas lights and Christmas tree and many others. Furthermore, a Choir of Filipino Community in Ansan annually visited several Filipino shops and houses elsewhere around the corner and offered Christmas music and caroling on the eve of Christmas Day to highlight the significance of Christmas spirit every year not only in their beloved country but also to foreign land and new dwelling in order to bring joy, happiness and peace but most of all the LOVE that can bring unityor oneness to everyone regardess of religious denominations. On December 25, a great and touching moment happened this Christmas season when you look at the news, the Newly President-Elect, Park Geun Hye of South Korea would be seen and spending her “Christmas Day” in the unprivileged place district of Seoul by visiting and bringing some foods to less-privileged and elderly people. The humility of the newly elected President Park is one of the examples of Christ’s life and teaching-the leader of fast developed country, South Korea had humbled herself before the people and gave her valuable time to less-fortunate and elderly people of South Korea amid her hectic schedule and duties. Meanwhile , Ansan City has also a large immigrant population and thousand of Filipino immigrants married to koreans are celebrating their Christmas holiday with their immediate families, friends, and relatives .Moreover, some migrant workers are preparing special foods during the eve of Chritsmas day and unselfishly share it with their colleagues in work and neighborhoods while some are having scheduled Christmas party and gatherings ahead of Christmastide. The penman himself on the other hand, had observed for the first time this year a very cold and early winter season- for example in Ansan City itself, the early lowest winter negative 12 temperature on December is unsual in more than five-year of my stay in a smaller city of South Korea, Ansan and most of the cities are having early setting low negative temperature record since 2007 and in the coming months, according to weather bureau forecast. Most places here will experience higher negative temperature on the following months and will bring heavy snow aside from its temperature will range between negative 13-19 degress celsius all across the country. So far, streets, roads, alleys, highways etc. were blanketed with heavy snows, as many foreigners in particular the newcomers or tourists took a walk and took some photos anywhere. Hence, the weather bureau likewise forcasts that there will be a bitter conditions before and after New Year’s day but the people are very excited for the coming of new year despite of cold spell and difficulties of travelling around due to freezing winter. Nevertheless, the Christmas celebration is widely celebrated all over the world and giving love on Christmas Day is one way to commemorate the “Birth of Christ” to christian people and believers around the world as they are saying “ A world without Christ would be the world without Hope”. Above photo is showing the essence of togetherness in which everyone shares his time to one another, Each family gathered in one designated place to share foods and exchanging gifts with one another plus taking photos during the celebration is one of the memorable things to do. Thus, the purpose of Christmastide is to uphold unity, friendship, unselfishness, brotherhood and love among christian and non-christian people. Ansan City – Festival has been one of the favorites of migrant workers to see and this was what Western Union brought on Saturday night called “Fiesta at Saya” at Ansan Migrant Community Center wherein those who attended the fiesta have enjoyed and received gifts and thus also participants were entitled to join the raffle draw during the festivity. Western Union Officials expressed their sincere thanksgiving and support to their remitters, encouraging them to send their remittance for safe , fast and reliable service, and offering more gift items for those who use its money transfer remittance service. The most exciting part of the show was the presence of” Pooh”, a popular and witty comediane from the Philippines, who made the migrant and immigrant workers laugh and happy with his natural and humorous jokes. Pooh is a well known impersonator and a stand up comedian, a salon owner and also a good singer who performs not only in Korea but also in different cities of America and other asian nations. Moreover, the said festival has also been presented by the Philippine Embassy headed by ”labor Attache” Fely bay who was present that time and urged the migrant workers to use legal remittance service like western union, reminding also everyone that sending in illega remittance services will be violating the rule of law and violators would be imprisoned if proven guilty. Aside from hilarious show, guest singer and funny host , many migrant workers took home different gifts provided by Western Union not to mention the winners of big prizes of the raffle draw before the festival begun. Eventually, the show is not complete without getting picture with the comedian Pooh and almost everyone has taken picture with the popular and best stand up comedian actor awardee. The Ministry of labor conducted a seminar with migrant contract workers regarding the new law of Employment Permit System (EPS) at the Philippine Embassy recently. Deputy Director Park Sangwon of MOEL Foreign Worker’s Policy Management delivered the speech for more than 2- hours concerning the new guidelines of the revised and recent rules on the said EPS law. Moreover, Director Park briefly discussed the extension of contract for qualified migrant workers, who are given the chance to come back in Korea for another nearly five-year contract, also the upcoming of new migrant workers in different countries such as,Vietnam, Pakistan,Thailand, Indonesia, Bangladesh, China,Philippines, Kyrgystan, Mongolia and many others are included on the aforementioned guidelines. Highlight of the seminar was the question and answer portion wherein migrant workers and other guests were free to ask their prepared queries that made the forum quite interesting and enlightening. Present during the seminar were Labor Attache, Miss Felecitas Bay who interpreted and presided the panel discussion together with Ms. Virsie B. tamayo, OWWA’s Welfare Officer and with Mr. Park’s side was a female Korean interpreter who impressively gave her best to translate Mr. Park’s native Korean speech. Mr . Park humbly explained that not all of the foreign workers who worked for almost five or six-year in Korea could avail for another extension of contract, he likewise emphasized that the newcomers would be given chances to work and experience the same as the old timers have undergone. Despite of tight and limited qualifications ,only small number of EPS foreign workers could be given considerations for additional or extension of approximately five-year contract. Thus, most migrant workers who are about to finish their sojourn period are still eagerly hoping for the extended job offer but could not be considered lucky due to many qualifications to consider in order to be rehired, some qualifications namely, a) foreign workers whose visas will be expired after July 2, 2012, can be considered, b) workers who have not changed their workplace during the duration of their contract ,and c) those who work in the place of business with not more than 50 employees will be given opportunity to work again. In the end of the forum, there were some EPS foreign contract workers have asked, if the amended and revised extension of job offer was beneficial to few or many migrant workers? The answer has explained itself during the panel discussion and it has been said for example, that only 300 workers out of 10,000 Philippine workers were qualified for the new scheme of EPS law excluding the EPS workers from 14 other Asian nations. In addition to this, there were more than 50 attendees at the seminar. Any interested persons are invited to attend the trial of the case stemming from the demonstration of Triumph International Labour Union members. Its prosecution witness examination will be conducted from 23 August 2012 and 24 August 2012(morning), and defence witness examination on 24 August (afternoon) and 28 - 30 August 2012 at Court Room 809, Criminal Court, Ratchadapisek, Bangkok. Ms. Jitra Kotchadej, Ms. Boonrod Saiwong and Ms. Sunthorn Boonyod, three unionists, are prosecuted by the Special Criminal Litigation Division, Office of Attorney General, for assembling of ten people upwards to commit any act that has breached public order. They are accused of being core members who have stimulated other people to commit the crime. Also, they are accused of resisting the order of officials to stop the wrongdoings (violation of Sections 85, 215 and 216, Penal Code). The demonstration took place on 27 August 2009 in front of the Government House and Parliament as a protest against the massive layoff of workers by the company. The government was urged to address the workers’ grievances. On that day, the police used Long Range Acoustic Device (LRAD) making very loud noises in an attempt to disperse the defiant demonstrators. Such a harsh response to the demonstration has yielded strong condemnation from fellow activists and a demand was made for the revocation of the arrest warrants against the workers. The government and the National Human Rights Commission were urged to carry out an inquiry into the alleged abuse committed by the police officers. Instead, the public prosecutors have decided to press ahead with prosecution against the labour activists. The witness examination shall commence on the aforementioned date, time and venue. Global Sarang President Rev. Hae Sung Kim invited the Global Digest to see what they are doing for migrant community in South Korea. He work more than 20 years for community school is diversity as multi-culture children. 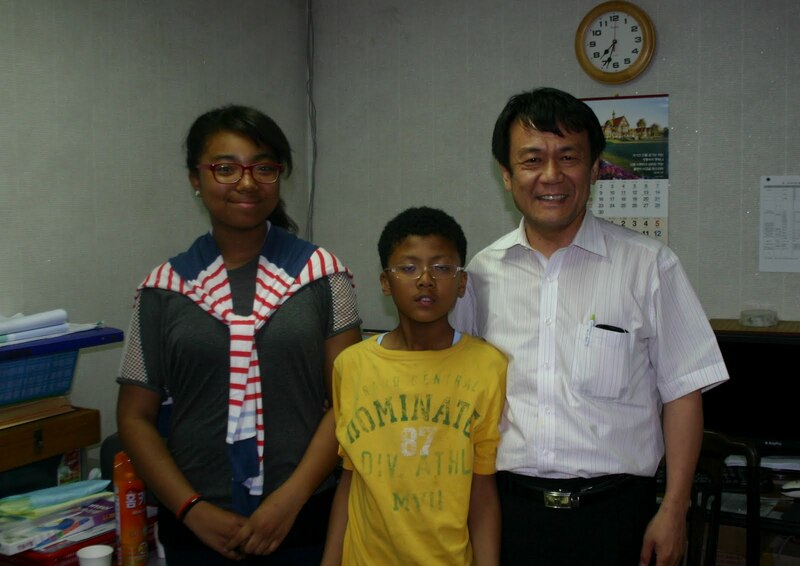 He adopted 3 children from Korean father and African woman. Their mother passed away 4 years ago and their father also suicide after 1 year. Their mother was from Ghana, when they contacted Ghana embassy in Seoul but the embassy didn’t interest them to take care them, said Rev. Kim. So he had forced to adopt those children. For schooling them, he went to meet school principle but vice principle question them where are you come from? Again, school attendance chief asked them where are you come from? Rev. Kim said they are Korean, actually, he felt whoever were created by God as beautiful. Third kid of his adoptee son is now president of students at the school. The boy said to his friend of students, do you know president Obama? Likewise Obama, He said my mother came from Africa. He further told I want to become president someday. So he got elected as student leader and he made a news conference there. Moreover, he wrote to Obama, to visit his school, during Nuclear Submit held in Seoul. White house officer said he will visit, but later they replied it’s too short of trip to visit there. Apart from leadership, this adopted boy, he want to become a soccer player, and he had chance to met Kang Su Il, a Korean-African soccer player, he was born from a Korean’s mom but no father, may be a black American soldier. Last month, he played a soccer game with Kuwait team, Rev. Kim’s adopted son was select for poll kids at the game. Second adopted boy, he want to become movie star, and there is a multi-culture movie was under casting its about a couple of a Korean man and a Philippina story. That movie director visited to their school, and director said he is going to select the boy for next movie casting, and sent him script of 20 pages to the boy. Now he already knows the script’s content and he got $5000 for the movie casting. This movie will come out on September, Rev. Kim said. For adopted girl, she is different character and interesting is in her 6th grade she was tall 180 cm high, tallest in the school. She said she wants to become a model. She likes Chang Yoon Chu, Korean super model. One day, MBC TV PD arranged her to meet with Chang Yoon Chu. The model promised her, when you become the age of 15 year, I will train you to become as a model, and told her to control food eating. Since then, the adopted girl starts eating vegetable and fruit only. It will be amazing various colour model including black colour model in South Korea. However, racial discrimination is increasing in Korean society. That is the reason Rev. Kim had to developed International school for them. It is different from regular public school. One day, Rev. Kim found that an adopted girl rolled her arm with bandage, actually what happened was she cut her arm because she hate the school. At the school, her classmates were yelling and called her “Michel”. She got a racial discriminated 20 days ago. Currently, Korean Education board granted their multi-culture school up to junior high school, where the students are from 15 countries. The School teaches Korean, English, and their native country’s background. Rev. Kim and her staff members will keep busy working for migrant community in very strong Confucianism South Korean’s society. They also have a shelter for temporary stay. At the shelter, majority of resident are Chinese. Rev. Kim welcomes all migrants who are in trouble, their services are free of cost, they sponsor from various sources including government department. Migrant workers experience unfair labor practices in Isu Extraboard Ltd.
Isu Exaboard Ltd. Ansan branch is one of the PCB suppliers in South Korea. It has more than 100 employees like koreans, Filipinos and thais. As a matter of fact, this company ranks 97th and one of the top 100 manufacturing companies in South Korea. Furthermore, some foreign workers are experiencing hardships, oppression and abuses such as physical and verbal abuse, maltreatment, racial discrimination. For instance, Mr X, a thailand worker has been verbally abused by his korean co-worker who used the profane Korean language like" Sibal Sekya" which promted him to denounce this matter to his immediate supervisor. Two weeks later, he left the company. Mr. B, a filipino male worker, on the other hand was experiencing harassment and humiliation due to a simple mistakes from another korean worker who treatened the former to send home and worse, hurling the wall and and window glass door when mistake had been committed by the said foreign worker. On the other hand, another migrant worker has been illegally suspended for 2 months, Mr. A, Philippine worker who suffered severe skin allergy on his neck, face and back due to harmful chemical substance used in his work. Han Hyeong Un, an office administrator fired out Mr. A on December 03, up to December 22, 2010 without "Due Process of law" and thus inhumanly suspended from work on January 27, up to February 28, 2011 without justifiable reason. According to Article 23 of the Employment Standards Act ban clause no. 1 states that "An employer may not fire, suspend, change a worker's job, cut wage and give other punishment (wrongful dismissal) without valid reason." Mr. A filed a formal complaint to the Regional Labor Relations Commission for illegal dismissal made solely by Han Hyeong Un of Isu Exaboard Ansan branch. After the said hearing Mr. A was reinstated in his work on December 23, 2010, subsequently, was punished again with suspension from Dec. 27, up to february 28, 2011. Han verbally terminated Mr. A due to alleged absence without official leave (AWOL). Under the article 27, of the Employment standard Act, "If an employer wants to fire a worker, a notice about grounds and time for dismissing should be in writing," In addition, it is prescribed in the law of formal requisite for the dismissal that if there is no written notice, the dismissal does not go into effect. In other words , the dismissal notices by word or mouth or text message with mobile phone are not binding. The office admisnitrator Han, who hires only employment permit system (EPS) migrant workers who must have 2 or more working-visa , becomes an oppressor and harasser by forcing migrant workers to resign from work when the worker complains any problem . This harassment is blatantly happening at present time in the company. The company has violated the Article 23 of the Labor Standard law because Mr. A was dismissed while suffering skin allergy due to harmful chemical substance despite of medical certificates presented by the worker. In addition, it was very clear that the company did not give written dismissal notice to Mr. A, and was forcely suspended for 2 (two) months without pay in the person of Han Hyeaong Un, who severely penalized and harassingly intimadated the helpless worker without following the Labor Standard law. Ansan City - 2012 Lunar New Year is also called "Seolnal" by Koreans. January 22, 23 and 24 are continuous holidays in Asian fastest developed nation. For Koreans, this is the time for family reunions. Most companies and business establishments are closed on these days just to commemorate this special event. In fact, some family members travel to beautiful places and provinces to get together at this time of annual event. Speaking of family, Multi-cultural Family Center, operated by Seventh Day Adventist church, family members and friends as well as foreigners held their special New Year at Hapyland Resort, an awesome and unique indoor resort located at Waseong, South Korea. Almost 100 people joined in this occasional event and really enjoyed and had fun in great and beautiful hot pools, steamy rooms, sauna, and spa. Hapyland Resort is one of a attractive and peaceful places to visit for swimming and spa pleasures during winter season because of its unique and friendly Egyptian designs and wonderful attributes inside. Plus, the kiddie and adult pools and slides will also be enjoyably seen and relaxed. In addition, the place was really amazing and convenient for those who love swimming and spa lovers. Koreans come upon this place and celebrate their holidays because of its stunning resort and comfortable spa and massage rooms. 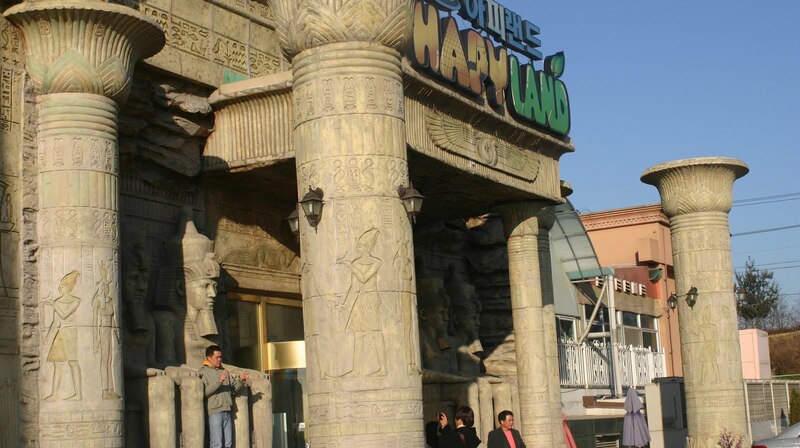 "Only few people come at Hapyland Resort due to its higher rate entrance fee," candidly says Pastor Kim, Director of Multi-cultural Family Center in Ansan City. Year after year, Koreans have a unique way of celebrating their New Year such as children take blessings from their parents and the elders share money to the young ones in the family. They greet each other at New Year with the saying "Saehae bok man-hi ba-deu saeyo" which means Happy New Year. On the other hand, Foreigners have also enjoyed with great and many pools for adults and kids. "It is really fun and worth it as anyone can describe about the awesome attributes of Hapyland Resort." The water is very clean and pool slide is so long and excellent, and it's a perfect place to go during winter time" said a filipina immigrant. Happy Land Resort is a perfect place for families and friends who look for a holiday experience that caters to all needs and passions. Koreans and foreigners' wives and children took advantage of the awesome kiddie pools and rides with great and plenty adult pools. At the same way, there are also large number of massage rooms and salty sauna to keep everyone relaxed. Finally, participants happily enjoyed at Hapyland Resort which the team came upon at about 9:30 am and the outing ended at 4:00 in the late afternoon. It was a great chance for first -timers to see the friendly and beautiful place. This special occasion only happens once a year, and likewise, one of the activities of the Multi-cultural Family Center which provides happiness and great moment of adventure to its family and members and acquaintances as well. Ansan, South Korea - New Year has come. The past year has ended. Some people in South Korea especially, migrant workers believe that "New Year" is a time for new beginnings. Thus, it is the time for celebration and reflection on the past year and resolutions about the upcoming year. In particular, some foreign workers or immigrants celebrate new year with their co-workers, close friends and families by gathering and visiting one's place. In fact, some South Koreans simply celebrated new year without big preparation such as firecrackers display or any events or programs. On the contrary, to other nations there were unique firecrackers celebration and unusal events in every corner of the world. On the other hand, migrant workers make their resolutions for the year ahead, they go forward with great hope that all things can be possible with the help and guidance of their families, close friends and colleagues. 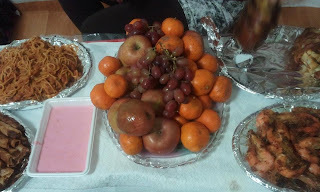 However, in Ansan City for instance, there was a very simple way of welcoming the new year. Filipino migrant workers for instance, prepare specialty foods, drinks and many others for the coming of new year's eve and dine altogether when new year comes at midnight. Still, there was a happy and unique celebration in the place of foreign communities such as migrant workers, immigrants. The essence of new year has been very warm for the foreigners like filipino people who really gathered with one another to share their prepared foods-as it makes this event a continuation of Christmastide. 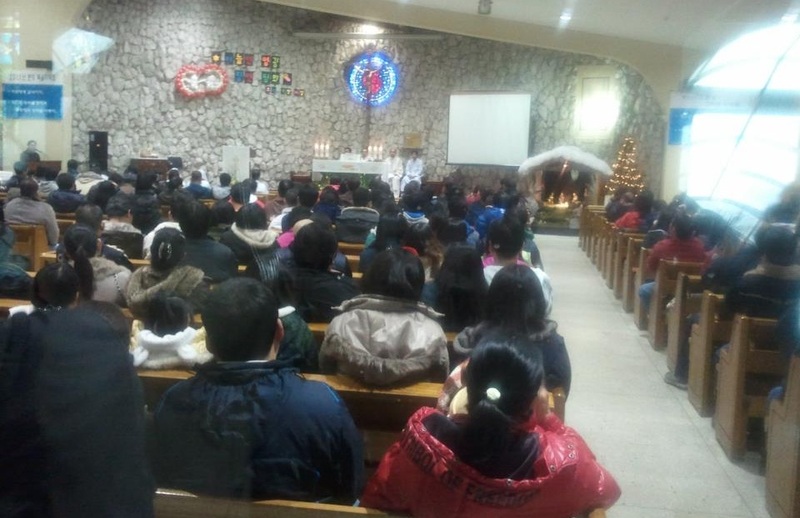 In addition, to migrant workers, new year is incomplete without church or mass service to symbolize thanksgiving as they did every year and believing that this would be a sign of good luck as the new year comes and will bring prosperity, happiness and success to believers. Indeed, one filipino worker said, "in the past year, I had lots of experiences and I learned what is wrong and what is right." Some filipino immigrants make ambitious new year’s resolutions while others just take a deep breath and hope for the best. Christmas day is one of the legal holidays in South Korea. Some spiritual Koreans celebrate Christmas as special day to remember the birth of the Messiah "Jesus Christ", but for the not religious people, they consider this day as simple off day or just a free day. Generally, Christmas day is observed around the world with different traditions and customs. In South Korea, migrant workers observe Christmas day in their own different way. For example, Filipino people attend service mass and visit friends right after and gather on Christmas Eve or "Noche Buena" for the delicious foods prepared before Christmas day comes at midnight. 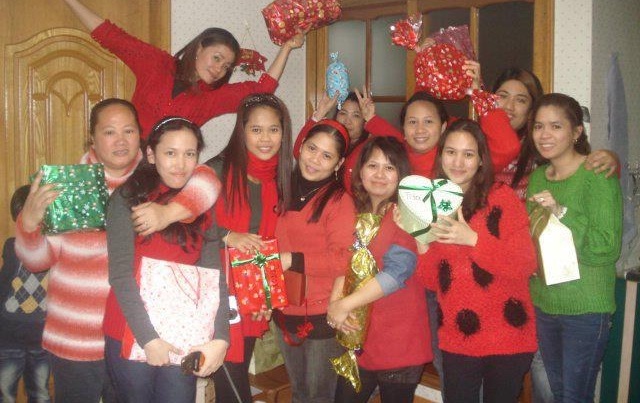 Most migrant people who are staying and working in Korea are always prepared and excited during Christmas because this is the most special holiday for them, They can finally meet their immediate and distant relatives and friends on this day. Likewise, this day provides them to reunite with one another. However, most migrant workers believe that celebrating Christmas is quite meaningful and truly memorable. 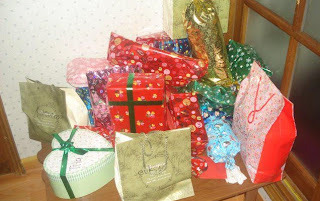 For instance, that most Filipino people believe that celebrating Christmast yearly is a must. To Filipino people, therefore, Christmas Eve gathering provides a chance to bring together as a group, such as sharing homemade foods, gift giving to children and friends and exchange gifts as one of the highlights of Christmastide. Finally, "only Christmas day is the happiest day of my life despite I am far away from my family" one filipina worker said. "It really lessens my loneliness," she added. Christmas Day therefore, is an extremely important and unforgettable holiday not only for migrant workers but for everyone. In fact, Christmas is a time for love, faith and unity. In addition, it is also a time for family gathering, sharing and giving, a time for sharing foods and blessings, fun and games, and friendship as well. Rev. Hae Sung Kim, the founder of the Global Sarang, an influential Migrant worker NGO based in South Korea, told the Global Digest recently how he started advocating for the rights of Korea’s migrant community. In 1992, for example, Rev. Hae Sung Kim started working for the “House of Migrant Workers” in the Sondam area during the height of the Korean labor movement and continued to do so until 2002. Afterwards, Rev. Hae Sung Kim founded Global Sarang which now serves Korea’s migrant community in many respects. First, Global Sarang, in light of Rev. Hae Sung Kim’s leadership, provides the migrant community assistance regarding legal issues, work related injuries, unemployment, and facilitating their access to government social welfare programs. Second, Global Sarang provides education assistance, such as Korean language and computer classes; as well as an open kindergarten and elementary school for children ranging from three to ten years of age. Global Sarang’s open kindergarten and elementary school, furthermore, teaches art, science, and physical education. Global Sarang also employs fifty teachers; ten foreign teachers mainly from other Asian countries as well as missionary teachers from the United States. Of all of their teachers, thirteen are licensed to teach in their various field. Consequently, Rev. Hae Sung Kim strongly believes that Global Sarang provides a better education than other Korean public schools. As a result, Rev. Hae Sung Kim is preparing to open both a Global Sarang middle and high school in the near future. Third, Global Sarang has opened a health care facility to provide healthcare for the migrant community. Significantly, if a patient requires surgery, the Global Sarang doctor will assist the patient in finding a hospital which is capable of providing the medical care required. Fourth, Global Sarang has opened a migrant shelter which also provides food for those who have no place to stay. Migrants too are allowed to stay at the Global Sarang shelter until they get a job as well as their own place to live. Suprisingly, all of Global Sarang’s services are free of charge primarily because Global Sarang has received financial sponsorship from a host of churches, private citizens, the private sector, as well as local banks. In addition to establishing Global Sarang, Rev. Kim has also spent a great deal of time at the National Assembly as an activist representing the interest of the migrant community. He proposed, for example, that the Korean legal system protect the rights of the migrant community when they are the victims of discrimination. He also proposed that the Korean government make the public more aware of the discrimination that many immigrants, including Chinese people of Korean descent, face especially as they pursue employment and housing. Finally, he proposed to the National Essembly a new welfare system for the migrant community which would include food, education and additional health care services. Due to Rev. Hae Sung Kim’s human rights work for Korea’s migrant community, however, Rev Kim was imprisoned for 6 months in 1997. Also, in 1970, during the Park Chung-hee military regime, Rev. Kim received harsh punishment due to his human rights activities. The Global Digest editor Daniel Rhodes edited to this story. 1st September 2011, 43 years after Thailand signed the International Labour Organisation’s Convention (C-19) on the Equality of Treatment (Accident Compensation), the General Secretary of Thailand’s State Enterprise Workers Relations Confederation (SERC) submits a petition to the ILO pertaining to the failure of the Royal Thai Government to impose nondiscriminatory practice on migrant workers’ access to Workmen’s compensation Fund (WCF). The RTG proposed the “private insurance scheme” for migrant workers instead of providing access the WCF. Today (21st September), Mr. Sawit Kaewwan, General Secretary of SERC, has submitted to the ILO Committee of Experts in Geneva, Switzerland, a letter detailing Thailand’s breach of international law as evidenced by the Thai Government’s policy to deny migrant workers access to the Workmen’s Compensation Fund. This submission is an additional submission to SERC’s previous submission during international labour conference in Geneva on 13th June 2011. 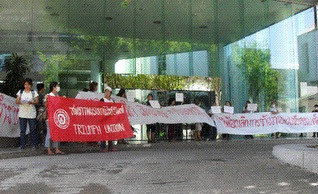 The submission today aim to update the ILO committee of expert on Thailand’s continue systematic discrimination through its new established “PRIVATE INSURANCE SCHEME FOR MIGRANT WORKERS” another policy introduced to deny migrant workers access to the Workmen’s Compensation Fund, hosted under the Social Security Office. Although Ministry of Labour has issue ministerial regulation as “notification” to employers to purchase insurance which cost 500 baht from private insurance company for their migrant employees to cover in case of work accident as substitute to government managed workmen compensation fund. However, such notification has no legal binding and the government has no legal authority to enforce such duty against employer, unlike workmen compensation law which empower official to enforce the law and impose sanction against employer who do not pay to the workmen compensation fund. Therefore the private insurance scheme is base on voluntary basis and provides no guarantee for work accident compensation. The new policy renders Thailand’s failure to protect the rights of migrant workers in Thailand. Most of all, such policy has a severe negative impact on an estimated 2 million migrants, mostly from Myanmar, currently working in Thailand. These workers remain at high risk of suffering work-related injuries and illnesses without adequate protections. Despite previous protests to the Government of Thailand by the ILO and the United Nations, Thai government policies currently in place continue to systematically discriminate against migrant workers from Myanmar as well as allow for gross violations of human rights and abuses. In a previous petition to the Thai Government from the ILO’s Committee of Experts and the United Nations Special Rapporteurs on Migrants, the Thai Government was urged to review the specific policy, Circular RS 0711/W751, currently denying access to immigrant workers to the Workmen’s Compensation Fund. In response, the Ministry of Labour is requesting that the Cabinet approve the creation of a separate, private insurance system to protect migrant workers and victims or work-related accidents; a fund separate from the Workmen’s Compensation Fund. Under the current policies, migrant workers in Thailand are completely unprotected and vulnerable to abusive and discriminatory practices. Employers cannot be trusted to provide remedies themselves as in many cases reported to SERC, employers evade liabilities or ask police to arrest migrant workers, specifically victims of work-related accidents. A private insurance system which provides separate coverage with fewer benefits to migrant workers than their Thai counterparts is unacceptable and discriminatory in nature. All workers in Thailand, regardless of origin or nationality, must be entitled to the same labour rights and protection under the Workmen’s Compensation Fund. 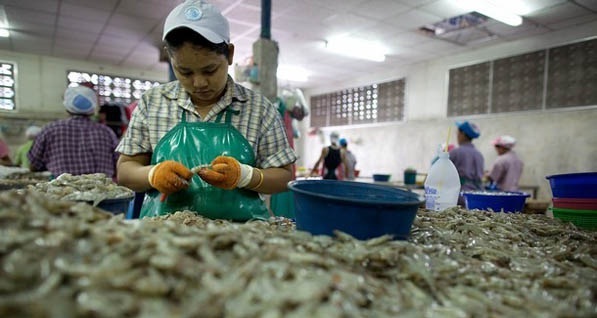 SERC calls on the ILO and the international community to consider and support this petition and to act swiftly so Thailand can become a safe place for workers with equal rights and protections afforded to all workers. Ansan City, South Korea- Multi-Cultural Family Service Center officers and members in Ansan City went to “Everland Resort” to commemorate the annual celebration of “Thanksgiving Day” and Happy Halloween on September 12, 2011. 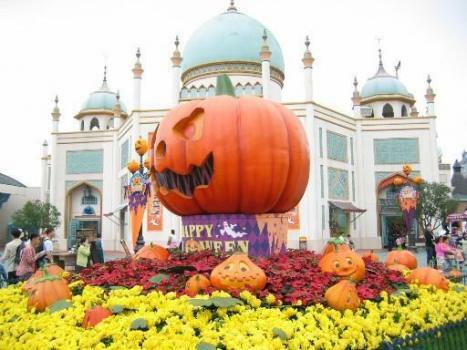 “Very beautiful and unique place to see and relax,” said one of the visitors in the Everland. More people came and watched the beautiful theme Park which everyone admired most because of its phenomenal attraction and building design. At about 8.30 am, the group departed Ansan City by 2 shuttle buses with lots of people aboard and excited to share their spare time to one of a kind amusement Park in Korea. More Filipinos, Chinese, Koreans, Thais, Africans and many other people of different countries joined together on the trip. Highlight on that day was colorful and beautiful Parade Floats with animated figures and masked-halloween-costume dancers performed on top of the decorated floats. The whole day event made everyone tired and happy, in the same way, this is also an unforgettable moment to everybody’s life. As anyone can see many things yet they did not see in their homeland. Thus, there are many shops and restaurants as well as pictures and souvenirs. There was also petting zoo, pony rides and animal shows. You can also see a rare picture of lions and white tigers, and bears, as visitors are locked up in the bus. T- Express has the most number of riders due to its thrill and attraction. “It was a thrill to see Everland again,” a fellow friend said. At about past 7 pm, the team went back at the Ansan center and dined together in the cafeteria before leaving apart with one another as thanksgiving party had been enjoyed with everyone. Organization Youri is a social enterprise launched by a collection of youths, single mothers and migrant women. It’s a community group that promotes healthy food culture. At organization Youri those who are in need of education and those who strive to be self-sufficient can learn to creatively incorporate healthy food culture into their way of life. It was started in 2008 as social entrepreneurship, said Mrs. Lee Ji hye. At the time, the idea was to engage with migrant women, teenagers and single women through cooking. And then sell the foods they produced to markets in Korea. In Korean “Youri” means cooking. Organization Youri initiated a new wave of entrepreneurship including such things as multi-cultural shops, catering, and café business, and cafeteria, studio and education workshops. They also opened a multi-culture kindergarten which currently has more than 10 students from amongst both Korean and migrant children and where various multi-cultural parents take care of them. The kid’s parents have a meeting every two weeks. Youri is a product of the efforts of migrant women; the organization has 30 workers including 7 migrant women. Also, until 2009, they provided job training for migrants and disabled teenagers, but now they are creating jobs for migrants where they are able to work together with Koreans. They produced several professional workers; right now, three professionals are working in the Hyatt hotel and one professional works as a food stylist (planning for a party’s food). Moreover, they focus on protecting a market, to be sustainable and to make money, said Mrs. Lee. At the same time, they are branding all their organization’s products. In Korea, Gyeonggi-do province, the migrant population dramatically increases every year. After 10 years it will become a huge issue, said Mrs. Lee. In reality, there is on-going multi-cultural globalization in Korea. But the Korean government has not yet implemented a system for multi-cultural globalization, Mrs. Lee lamented. Besides, most of the second class Korean society are not yet realized about the on going of multi-culture globalization in Korea, Mrs. Lee witnessed. She strongly resists that migrants should have their own culture, such as their own foods should be allowed, and respected them. Youri has a multi-cultural restaurant at Hongik University which mainly offers Asian cuisine. There are approximately 30 to 40 customers a day. They also opened a café shop there two weeks ago. You can visit the Youri restaurant for Asian cuisine for just $10-$15 per meal, a price which includes salad, rice/noodle, and more. For catering, you can order Korean dishes (Salmon roll, Mung Bean jelly Mixed with vegetables and Beef, platter of Nine Delicacies, Cold Dish Dressed with Various seasonings and seafood, Braised short ribs), Western dishes (Sandwiches, Canapés, Pasta, Barbeque Ribs), Tea party (Cheese Set, Home-made cookies, Caprese), Multi-cultural cuisine (Various multi-cultural dishes from Indonesia, Vietnam, the Philippines including Sweet Indonesian Dessert and Vietnamese Wrap and Rice noodle). Haja center is supported by Seoul Metro Politian government. Youri is on the first floor of the Haja center. Youri received support from the Labor Ministry and a small amount of support from other foundations. Mrs. Lee Ji hye is the founder and president of Youri. She graduated BA in Education and MA in Philosophy from Ehwa Women University. Before she worked at Youri, she worked for the Haja Center as a Planning Manager for 3 years and as an IT marketing planner for 4 years for another company. Charles Hector, Human Rights Defender, Activist, Lawyer & Blogger is being sued by the company for defamation for raising information of human rights and worker rights violations of workers working in the said company on his Blog. The company’s main argument is that they are not their workers, but workers supplied by an ‘outsourcing agent’. The company says that these workers are not on their ‘direct payroll’ …hence they are not responsible for these workers, and for what happened to them. The company claims no knowledge of any termination or attempted deportation….or any ‘new agreement’. Asahi Kosei Sdn Bhd –V- Charles Hector Fernandez (Case No: 22 NCVC – 173 – 2011) came before Judge Lim Yee Lan at the Shah Alam, Selangor, Malaysia NCVC Court at the Shah Alam Court Complex at about 2.30pm, 21/3/2011. · The matter was called into chambers, and the Judge wanted to simply meet the parties; Mr Andrew Khoo was asked to leave. We do not think that this was correct procedure, as the Malaysian Bar was holding a watching brief, and Andrew should have been allowed to be present. The case today was fixed for the inter-parte hearing with regard to the ex-parte injunction obtained on 17/2/2011, and also the hearing of Charles Hector’s application to set aside the said ex-parte order of 17/2/2011. In the chambers, the judge proposed that time not be wasted with the hearings, and that she was willing to set the matter down for an early trial, requesting parties to agree or consent to a ‘holding over’ order. The company lawyers were in agreement with that proposal, but Charles Hector’s lawyers were not. They insisted that the applications before court should be disposed off firstly and separately, but were happy if an early trial date could be fixed thereafter. The court then fixed the trial date for 19, 20 and 21 April 2011, and the next hearing date for the 2 applications on 30/3/2011 at 2.30pm. Lawyers from both sides then handed over their outline submissions, which were also given to the other party. The company’s lawyer applied for the continuation of the holding over order until the next hearing date. The court granted the continuation. The holding over order was a watered down version of the earlier ex-parte order, which lapsed on 4/3/2011, and it was confined to just communication about the issue concerning the named 31 workers in Charles Hector’s Affidavit through the said Charles Hector blog [www.charleshector.blogspot.com] and communications by tweet. The freedom of expression of Charles Hector continues to be curtailed. Why did Charles Hector’s lawyer object to the judge’s proposal? 1) They are of the position that the court should never have granted the ex-parte order applied for by the 'Company' and granted on 17/2/2011, whereby Charles Hector was not given any notice about this application. He did not have the chance to participate in the hearing before the order was granted. 2) Further, the court 17/2/2011 wrongly orders Charles Hector to pay cost for the application of the Plaintiff. 3) In applying for that order, the 'Company' also failed in their duty to disclose all information and facts, and also possibly lied, and in so doing would likely have misled the court into granting such an order. 5) With regards the company’s application for a new injunction order, i.e. that inter-parte application for an interim injunction , Charles Hector’s lawyers are of the opinion that in a defamation case, especially where the Defence is one of justification and fair comment, courts will not grant any such interim injunctions which is also a violation of universally guaranteed freedom of expression. 6) Hence, to agree to the judge’s proposal would have been very prejudicial to Charles Hector. 7) For the company, it would have been a ‘victory’ because their order of 17/2/2011 would have still been valid, and they would get what they were asking for, even though it may be a diluted version of what they applied for. Why the judge did not proceed with the full hearings today remains a mystery. The judge did say that she had another application also fixed on the same day that she had to hear. Charles Hector is certainly disappointed with the outcome of the process – as this would be the 2nd postponement. The hearing was supposed to be heard on 4/3/2011, and was then postponed to 21/3/2011, and now again to 30/3/2011. His right to be able to freely communicate and highlight injustices through his blog and twitter continue to be violated. Note that he has been subject to a broader gag order that prevented all forms of communications on matters concerning Burmese migrant workers and Asahi Kosei since 21/2/2011, when the 17/2/2011 order was served on him. Charles Hector has already filed his 'Defence and Counter-Claim,' whereby in the 'Counter-Claim' he is also seeking some declarations that determine that a company’s supplied workers by ‘outsourcing’ agents, do become the employer on receipt of the workers, and therefore, they do have the duties/obligations of an employer to these workers. There are other declarations. More information would be given later. The 'Company' has also filed their 'Defence to the Counter Claim' and a reply to Charles Hector’s defence. At the last date, 4/3/2011, they Company’s lawyers said that they will file and serve their Affidavits in three days – but these were only done on the afternoon of 14/3/2011. Charles Hector had to rush and file his 'Affidavit in Reply' which was done on 17/3/2011 to prevent a postponement of the hearing fixed for 21/3/2011. 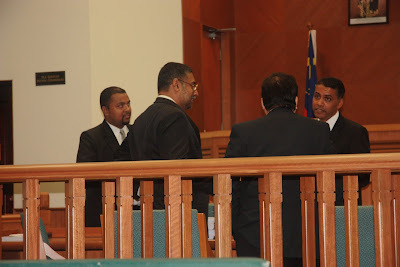 In any event, the company filed another affidavit on the morning of 21/3/2011 – and not to delay matters, Charles Hector’s lawyers were ready to proceed with the hearing today, 21/3/2011. But the court was not ready, and the matter is now postponed to 30/3/2011. Charles Hector’s lawyers said that Charles Hector’s 'Affadavit in Reply' to the two new affidavits will be filed and served, at the latest, by Friday (25/3/2011). There is concern that the 31 workers may hurriedly be sent back to Burma, and that will be prejudicial to Charles Hector as all information was from these workers, and it is only them that will be able to tell the court what had happened. They are crucial material witnesses. There were 31 Burmese migrant workers, and the Asahi Kosei now has only 26 workers working in their factory. Two are in hiding, afraid that they may be caught and sent back to Burma, while one may have already been sent back. There is no report on the other two. Charles Hector’s lawyers applied to the court to ask Asahi Kosei to give a promise that these workers will not be sent back (‘disappeared’) before the trial completes, but the company said that they do not have the ability to do that. The court said that maybe the ‘outsourcing agent’ would be able to do that and asked Charles Hector’s lawyers to make the necessary application for this. Maybe Charles Hector’s lawyers may have to make more application to ensure that these 31 workers are still here when the trial begins. All we can do is hope that they will be brave and be allowed to tell the truth, so then justice will hopefully prevail. * Representatives from civil society, human rights groups and the Burmese migrant community were also present in court as a show of support and solidarity. No media was present today. We appreciate your continued support and show of solidarity. Thank you also for the many well wishes we received from friends and colleagues in the struggle for human rights and justice. 4/3/2011 – 1st hearing date of 'Company’s' inter-parte application for an interlocutory injunction. 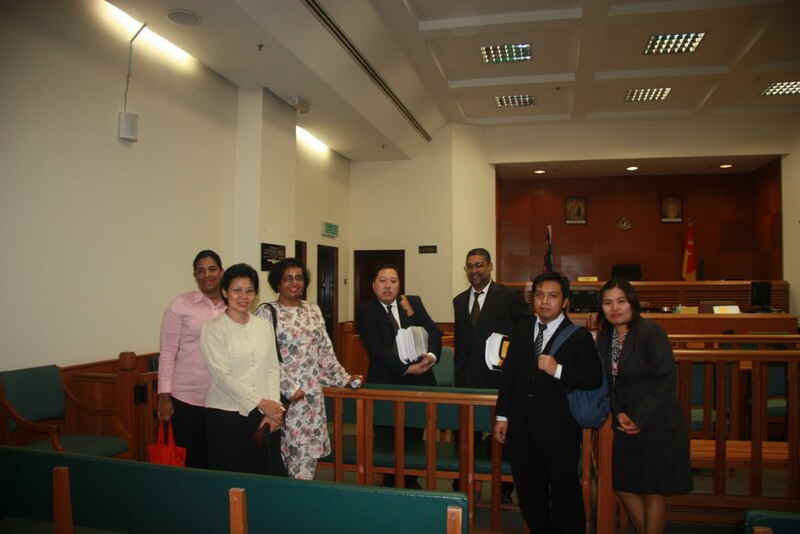 At its 65th Annual General Meeting, held on 12 March 2011 in Kuala Lumpur, the Malaysian Bar unanimously carried a motion in support of human rights defender Charles Hector. Mr Hector is facing legal charges by the Japanese electronics company Asahi Kosei for highlighting alleged human rights violations at the company's Malaysian facility. In the motion, the Malaysian Bar refers to the United Nations Declaration on the Right and Responsibility of Individuals, Groups and Organs of Society to Promote and Protect Universally Recognized Human Rights and Fundamental Freedoms, also known as the Declaration on Human Rights Defenders, which reads that “everyone has the right to individually and in association with others, to promote and to strive for the protection and realization of human rights and fundamental freedoms at the national and international level." The Bar also references Malaysian law, including the Whistle Blowers Protection Act 2010, Human Rights Commission of Malaysia Act 1999, and the Criminal Procedure Code. The motion states that public interest places an obligation on any person that knows of any human rights violations to not just stand by but to take the necessary steps to see that such violations end, and to ensure that the victims do get justice. The Bar declares that "it is felt that it is best that the company does not continue to go after the ‘whistle blower’ but rather to commence the necessary investigations and do the needful to ensure that all rights of workers that work in the company are not violated, and justice is upheld. 1. Having noted that the United Nations Declaration on the Right and Responsibility of Individuals, Groups and Organs of Society to Promote and Protect Universally Recognized Human Rights and Fundamental Freedoms, wherein, amongst others states in Article 1 that “Everyone has the right to individually and in association with others, to promote and to strive for the protection and realization of human rights and fundamental freedoms at the national and international level”. 3. Having noted also that lawyers have a statutory obligation reflected in the Legal Profession Act to uphold the cause of justice without fear or favour. 4. Charles Hector Fernandez, a human rights defender and activist of more than 20 years, and also a lawyer, being also a former member of the Bar Council, is alleged to have caused to publish, impart and disseminate to others information which he received from 31 migrant workers of Burmese nationality, who allegedly were at the material time working in a factory in Selangor. 5. The information he received was with regards to alleged violations of human rights and worker rights and alleged unfair treatment of the said workers. 6. Noting also that Charles Hector did firstly send an email on 8/2/2011 to the said company about the information received, giving a reasonable opportunity for the company to clarify matters, and after waiting for a reasonable time for a response, he did cause the information received to be posted on the Charles Hector Blog at www.charleshector.blogspot.com. 7. A Media Statement concerning the human rights violation of the said workers was also issued on 11/2/2011, whereby the number of organizations and civil society groups that jointly issued the said statement now stands at more than 80. 8. In response, the Company threatened legal proceedings and thereafter commenced a suit on 14/2/2011 against Charles Hector, a person who had merely highlighted the alleged human rights violations. Such action is deplorable, and may put fear/deter and/or have a negative impact on other human rights defenders, organizations, ‘whistle blowers’ and other individuals who come into information and/or allegations of such violations and cause them to refrain from acting on such information. This will certainly also cause greater injustice especially when these human rights violations affect the most marginalized in our society, including workers and migrant workers, who do largely depend on others to come to their defence and assistance. 9. Noting also that public interest also places an obligation on any person that knows of any human rights violations to not just stand by but to take the necessary steps to see that such violations end, and to ensure that the victims do get justice. This principle is also recognized, and is also evident in many laws in Malaysia, including the Whistle Blowers Protection Act 2010, Human Rights Commission of Malaysia Act 1999, and Criminal Procedure Code. 10. The Company has proceeded to file a suit against the person who highlighted the issue to them and to the public. 11. Noting also that a legal suit has been filed, the Company being the Plaintiff can at any time cause to withdraw the said legal action against Charles Hector. 12. Without touching on the validity and/or sustainability of the cause of action and/or the right of the company to commence the legal suit, in the interest of justice, recognizing also the right to freedom of expression and/or opinion, respecting also the inherent principle that encourages persons having any information about alleged violations of rights to disclose it, it is felt that it is best that the company does not continue to go after the ‘whistle blower’ but rather to commence the necessary investigations and do the needful to ensure that all rights of workers that work in the company are not violated, and justice is upheld. A. The Malaysian Bar shall render all necessary and reasonable assistance and support to Charles Hector Fernandez, as deemed fit by Bar Council. B. That the Malaysian Bar do the needful research and submit proposals for the enactment of new laws and/or the amendment of existing law that will protect all ‘whistle blowers’ and human rights defenders that highlight human rights violations allegedly propagated by State and non-State actors against persons in Malaysia, both from the perspective of civil and/or criminal liability having regard, amongst others, to the United Nations Declaration on the Right and Responsibility of Individuals, Groups and Organs of Society to Promote and Protect Universally Recognized Human Rights and Fundamental Freedoms. The motion, as amended, was unanimously carried. If you are in Seoul and are having problems at your workplace, the Seongdong Migrant Workers’ Center is there for you. The center is a place for education, counseling, and medical services, free of cost. Education services are Korean language and computer classes which are available from Tuesday to Friday for migrant families, their wives and children, and newcomers. On Sunday, classes are offered especially for migrant workers. Counseling services for migrant workers are available daily. The counseling center can help when you experience non-payment of salary, abuse, and also when you are looking for a job. Medical services are provided twice a month, including dental and general medical services. At the moment, the center is helping a Burmese migrant worker, who is suffering from tongue cancer. He came to South Korea in 1998 and has no family. Since he has no health insurance, his cancer treatment will be very expensive, said Sun Dong Su, the center counselor and as the patient’s guardian. So far, his friends had raised approximately 4 million KRW for him. The Korean Ministry of Health and Welfare can provide migrant worker medical assistance for a maximum 10 million KRW for him. But his case is unpredictable and the cost will be much higher than expected, Mr. Sun lamented. They will continue to raise funds for him. Aung Naing Win, 36, a cancer patient from the South Korea based Burma Action is currently hospitalized in Seongdong, Seoul. He has also reportedly filed his application for refugee status at the immigration office, said Mr. Sun. Seongdong Migrant Workers’ Center has six staff members and more than 100 volunteer workers. The center receives funds from Seoul City Hall and Seongdong district offices. The center began services on December 14, 2001, almost 10 years ago and is managed under World Neighbours, a Korean NGO. The center officially offers services for E-9 migrant workers primarily, but unofficially it offers services for all other types of visa holders as a humanitarian effort. Visa types and the categorization of migrant workers are still crucial human rights issues in South Korea. Whang Sung-kil, the center director, has served at Seongdong Migrant Workers’ Center since 2010, and before his Seongdong post, he served for seven years in the World Neighbors office. 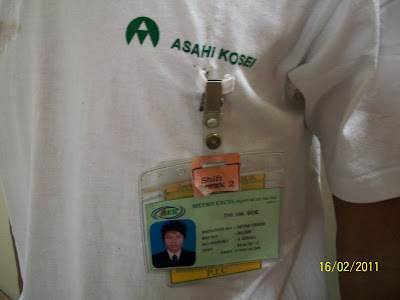 We, the undersigned 82 organizations, groups and networks are shocked at how Asahi Kosei (M) Sdn Bhd has unjustly treated its workers, in particular the 31 Burmese Migrant Workers, working at the factory at Lot 3377, Jalan Perusahaan Utama, Taman Industri Selesa Jaya, 43300 Balakong, Selangor Darul Ehsan, Malaysia. On or about 31/1/2011, 31 Burmese migrant workers complained about non-compliance by the employer with their agreement. The workers alleged that the employer was paying them far less than what was promised. They also expressed disappointment in the wrongful deductions from their wages, which included deduction for hostel charges when the agreement was that the employer shall provide free accommodation. They also raised their disagreement with the deduction of RM50-00 for every day that a worker does not come to work, when the daily rate of pay is only RM20. They also wanted paid medical leave, which really is already a legal right in Malaysia. In response, the workers informed us that on 7/2/2011 a gang of persons came and threatened them at their hostel. The police allegedly came with these persons. Before they left, these persons took all cooking utensils and materials, television, cooking gas, refrigerator, table fan and rice cooker) used by the workers. They switched off the electric main switch, and left the workers in the dark with no electricity. These persons reasonably can be assumed to be workers/agents of the employer. Two workers, without their consent, were allegedly taken to the Kuala Lumpur International Airport (KLIA) with the impression that the employer will be sending them back to Burma (Myanmar). Fortunately, the said 2 workers managed to escape and run away. On 8/2/2011, the workers lodged a complaint with the Malaysian Human Rights Commission (SUHAKAM) and also were preparing the formal paperwork required to lodge a complaint with the Labour Department. The employer then gave the workers an ultimatum that they sign the new contract now, or be terminated and sent back to Burma immediately. The workers were not given any opportunity or time to consider the proposal, or to discuss the matter further. Finally, all workers save 2, cowed under pressure and signed the new contract. The 2 workers who did not sign are Thiha Soe (PP No: A 458011) and Aung San (PP No: A432863), whereby Aung San was the worker who signed the complaint for and on behalf of all the workers when the complaint was lodged at the Human Rights Commission on 8/2/2011. Thiha Soe and Aung San were then handed over by the employer to the recruitment agent, possibly to send them back to Burma. Both workers have been separated and taken to different undisclosed location. Both workers do not want to be sent back to Burma, and want to continue working at Asahi Kosei(M) Sdn Bhd factory in Balakong. Asahi Kosei(M) Sdn Bhd, a subsidiary of Asahi Kosei Japan Co. Ltd., which makes Die-Cast Aluminium Parts for HDD(Computer Parts), VTR, And Automotive parts for, amongst others, Hitachi Ltd Automotive Systems, Hitachi Seisakusho, Denso(Toyota), Kawasaki Heavy Industry, Hitachi(Thai), Modenas , Seiko Instrument, Hitachi Global Storage, Matsushita Kotobuki, Matsushita Electronics, Toshiba, Maxtor, Seiko Epson, Kanematsu Device, Sony, Hitachi, Matsushita, JVC, Mitsubishi Electric, Philips, Sharp, Sanyo, Toshiba, Thomson, Yaskawa and Hitachi Mexico. It is sad that some companies with declared code of conducts and standards are seen to be associated with companies that violate worker and human rights. e) Call on the Malaysian government to ensure that no migrant worker is sent back to their country of origin before first verifying that all outstanding and/or potential claims and disputes between worker and employer (and/or agent or other relevant party) in Malaysia have been fully and finally settled. f) Call on Hitachi, Sony, Philips and other companies who do have a Code of Conduct and/or who proclaim that they hold human rights and worker rights as important, who have been listed as customers of Asahi Kosei (M) Sdn Bhd and/or Asahi Kosei Japan Co. Ltd to seriously re-evaluate their relationship with such companies that clearly do not respect human rights and worker rights. g) Call on consumers and/or investors to take into consideration human rights, including worker rights of companies and their supply chain when they do invest and/or purchase their consumer products. The private runs Ansan Hue Center is providing quality services for migrant workers in Ansan and around that area. The center was started in January 2009, said the center manager Mr. Wi. The Korean word “hue” mean “rest,” literally it is a rest center. The idea of the center is to service such as recreation program, taking a shower, cooking and eating, sport, entertainment dancing, movie watching, and taking a nap. Moreover, the center served as counseling for migrants workers who has problems with their works, no payment and various other kinds of problems. The center can also use for meeting and gathering, and its office facilities—computer, photocopy, printer, fax machine and international phone calling are allowed the customers to use. Every Sunday, Korean language—basic and medium levels courses are offered for free of cost. Last year, Congo and Philippines national days were celebrated in the center. The unique of this center is it’s not under government control or any other agencies control, said Mr. Wi and Mr. Lee. They keep telling, as the center is purely civilian based service center, not involved in any politics, and not one-man could claims ownership, or dictates it. The center is for open-minded person, so, anybody can give suggestion and advise on the center. As well as, everybody should share and help each other with their own capacity, Mr. Lee lamented by saying. Apart from foreigners, Koreans are allowed to use the center. The center wants unity regardless of nationalities background. Employment Permit System has been introduced in 2004 by Ministry of Labor in South Korea and offered to at least 15 countries including Philippines, Indonesia, Thailand and others, thus EPS Migrant Workers has to pass the Korean Language Test (KLT) to qualify of this job offer. Subsequently, Korean Employers then selected those who passed and qualified applicants and requested the latter to come and work in Korea. In fact, only small and medium companies hired migrant workers for their manpower's needs. In most cases, some migrant workers are facing different problems such as unpaid wages, maltreatment, verbal abuse accidents, harassment, illegal dismissal, and company's shutdown but some workers found comfortable jobs and good companies as well and stayed in it with their sojourn period. 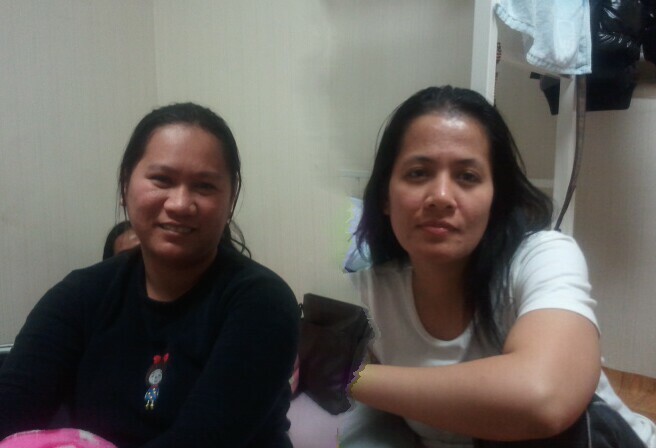 Apparently, three women migrant workers from the Philippines, (shown in the picture above), who left their former company due to an insufficient income, shortage of work and company's recession and yet searching a new one to get a higher salary and save more money for the good future before their short of stay in Korea ends. Three of them stayed in the company for 4 years in Gumi City and has only less than 2 years left to stay in South Korea as documented foreign workers. So far, many factories such as electronics, press machines and many others are seeking migrant workers through local Job Placement Center in every designated place like Ansan City which migrant workers can easily choose what kind of job appropriate to their knowledge and can likewise personally meet with company's employers in that designated center. In addition, one of them was asked why she transferred from one company to another, she responded, I only received more than half of my basic pay because of lack of work. and I only worked four (4) hours a day instead of required eight (8) minimum hour work and also because of company's recession and when our annual contract ended I decided to look for a better company here in Ansan City, She added. It only showed that not all migrant workers came to Korea had same luck as what others successfully received and satisfied with their income. Lastly, after getting encouragement from their friends,meanwhile they left Gumi City and tried their destiny and remaining time to seek a better job in Ansan City and when asked if they found a new one. Yes, we got a good job which offers sufficient income as we expected before going home after 2 years so we can save enough money for the future, She happily explained. 1. I was assigned in Cu Plating Department when I started working in Isu Exaboard on March 10, 2010. The workstarted at 8:30 am up to 8:30 pm (dayshift and nightshift). My daily work is to put 6 kinds of different chemicalseveryday and replenished hot water to etching hole 3 times a day. Chemical replenishment lasted 8-10 minutes. 2. On June 2010, I saw many skin diseases in my neck and and a week after, I found out that most of my neck had many skin disorders. I talked to Mr. Bae, Production Manager to ask assistance for medical check up and I showed him the skin disease in my neckbut he gave me no help and he said "he has no car to bring me to the hospital." 3. On June 29, 2010, I brought myself to SIN TAE SHIK clinic and examined by the doctor and was givenmedications such as injection, medicines and cream. I went to the doctor every 4 days and it lasted 3 times. A month after the skin disease was still not cured. 4. On July 15, 2010, I went to St. Vincent Hospital for medications and i was given a doctor certificate, a hospital for foreign workers. Attached here is the certificate of the Doctor. marked as "Annex A." 5. On August 03, 2010, I went to a dermatologist clinic for another examination and i asked a doctor certificate and I gave the original copy to Mr. Bae, production manager. Attached here is my Doctor Certificate.marked as "Annex B." 6. After 2 months, my skin disorder became worst due to lack of proper medications and I spent my hard earned money to buy medicines and my other needs for my skin disease i got from my work. My job involves 6 different chemicals and the company personnel has no concern for growing skin disease. 1. On November 24, 2010 at around 8:30 pm after my work (nightshift), I asked my supervisor Cu Plating Mr. Lee a permission for a sick leave the next day due to itchy skin disorder appeared in my face and forehead. He angrily refused me to rest and warned me to terminate me in my job if i failed to report on the said day. i showed Mr. lee my face and forehead and i said i could not work the next day for its itchiness, and growing and i said it needed immediate medications. Mr. Lee refused my begging and requests. 2. On November 25, I reported to Mr. Han's office, HR administrator to inform Mr. Lee's warning and treatment about my skin problem. 3. Mr. Lee removed me from my job in Cu plating dept. due to my absence in work and skin disease problem from November 27, 28, 2010, my regular work. 4. On November 29, 2010; At around 10 am i went to Mr. Bae, pruduction manager to inform him for my transfer fromCu plating to Pattern Dept. due to my itchy skin disease. He told me to come back and start on December 3, 2010, friday. 5, On December 03, 2010; I reported for duty to Pattern Dept. but Mr. Han called my attention and angrily said; why did you absent from Nov. 30. Dec. 01 and 02 2010, i replied that i asked permission to Mr. Bae and he said to me to take a break and comeback on Dec. 03, 2010. Mr. Bae did not inform Mr. Han about the arrangement we talked on Nov. 29, 2010. 6. and I insisted him that I followed Mr. Bae's decision. In a meeting room, after almost an hour, Mr. Han did not accept my reasons and forced me to choose two options for me, (1). RELEASE myself and (2). PUNISHMENT (Fire out). I answered back; "I will follow your decision Sir." After a minute. Mr. Han and Mr, Bae talked. Mr. Han said; "You are fired out." So i left them in the meeting room and punched out myself from company's bundy clock. 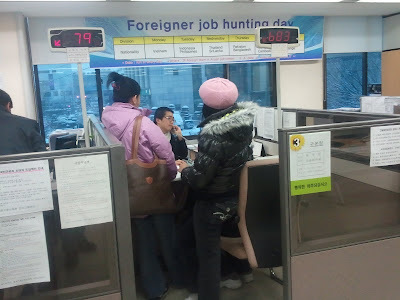 Finally, I went immediately to Siheung Migrant Center services to inform this illegal dismissal on December 3, 2010. One personnel called up Mr. Han and i was instructed by the personnel to come back immediately to work and say APOLOGY so this matter will be settled, I arrived at around 12:30 pm in the company, after saying many apologies, Mr. Han sent me away again and told me such words like;" bad and selfish" and he added; all koreans do not like you, and he also said; "all filipinos dislike you" after hearing all of these i made this letter for the honorable court for abuse, harassment and illegal dismissal without justifiable reasons. In addition to this, According to Article 23 of the Employment Standard Act ban for the dismissals; Clause 2, An employer may not dismiss a worker during the period of leave of absence due to an injury or disease. REMEDY AND PRAYER : I hereby pray thru this honorable court that i will be transferred to another department away from Cu platingbecause of its strange chemical and exemplary damages for wrongful dismissal. Thank you very much and more power! Regarding your inquiry concerning Foreign Workers Center, F-2 visa holders are catered by Employment Assistance for Korean Nationals (내국인부서, Tel: 031-412-6927). In-person counselling on job opportunities and direct hook-up service with employers are provided at the office. A person should come in with an appropriate ID card (신분증). Please refer to the attached document on Employment Support Centers in Seoul and Ansan for more information. Regarding your inquiry concerning scholarship, we are sending you information on the organizations that offer scholarship. We trust that this information will be useful to you. Employment Assistance for Korean Nationals (including F-2 visa holders) –내국인부서– Tel: 031-412-6927 Caters F-2 visa holders In-person counseling on job opportunities and direct hook-up service with employers provided at the office. A person should come in with an appropriate ID card (신분증). No English service available. 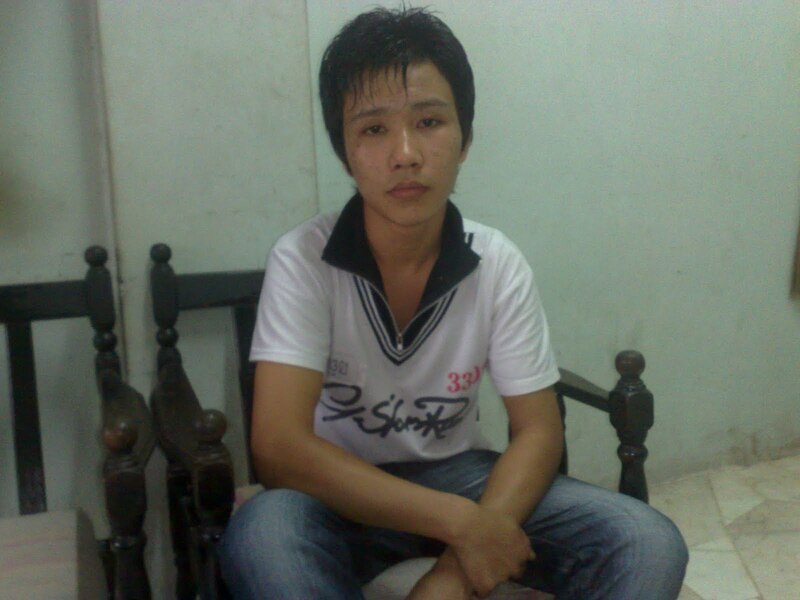 [Seoul] Migrant Worker TV 이주노동자의 방송 Tel: 02-776-0416 Website: http://www.mwtv.or.kr/ Email: mwtv@hanmail.net *Considering his educational/professional background in Information Technology, maybe Mr Shady might be interested in calling/emailing MWTV directly and ask for job opportunities?